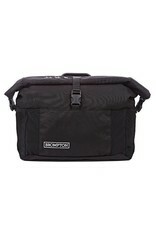 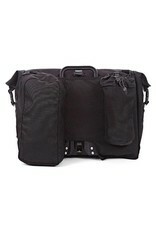 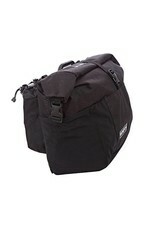 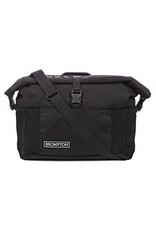 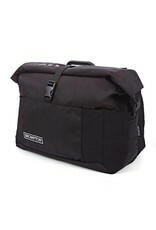 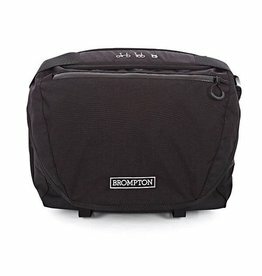 Brompton T Bag includes cover and frame Black - J.C. Lind Bike Co. 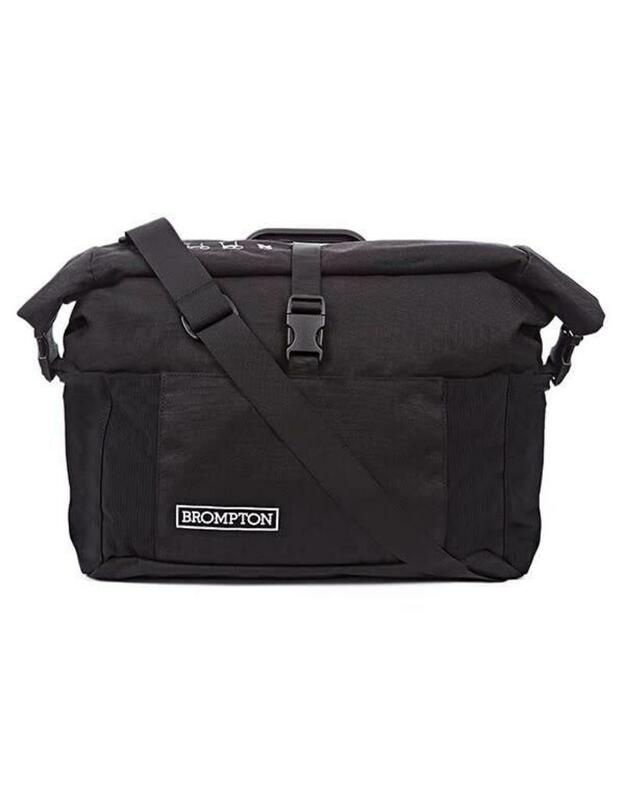 The T-Bag is Brompton's largest bag, made of durable Cordura and coming in at a 31 Liter capacity and 16.5" wide x 11.8" high x 10.6" deep. 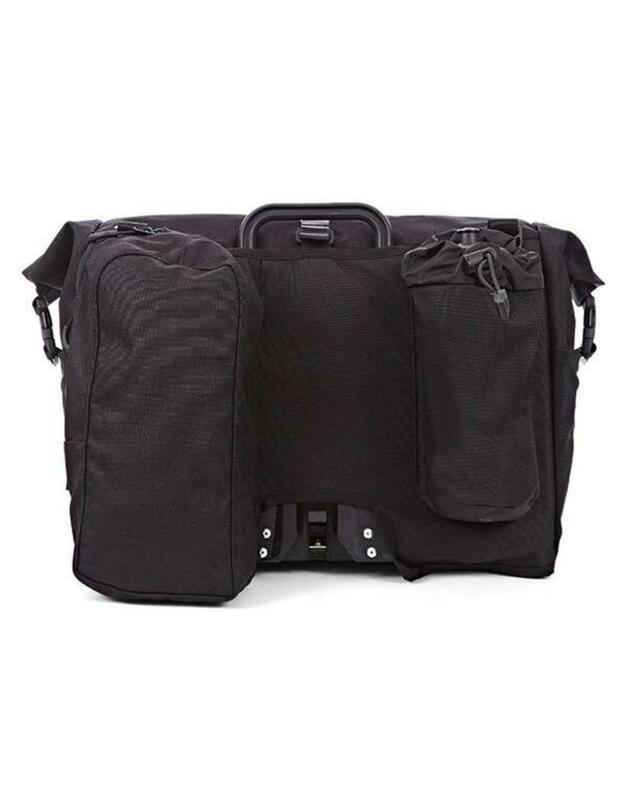 It has a handy water bottle pocket in the back (facing the rider) as well as another pocket which faces the rider and is useful for stowing small items like tools, a phone, or snacks. 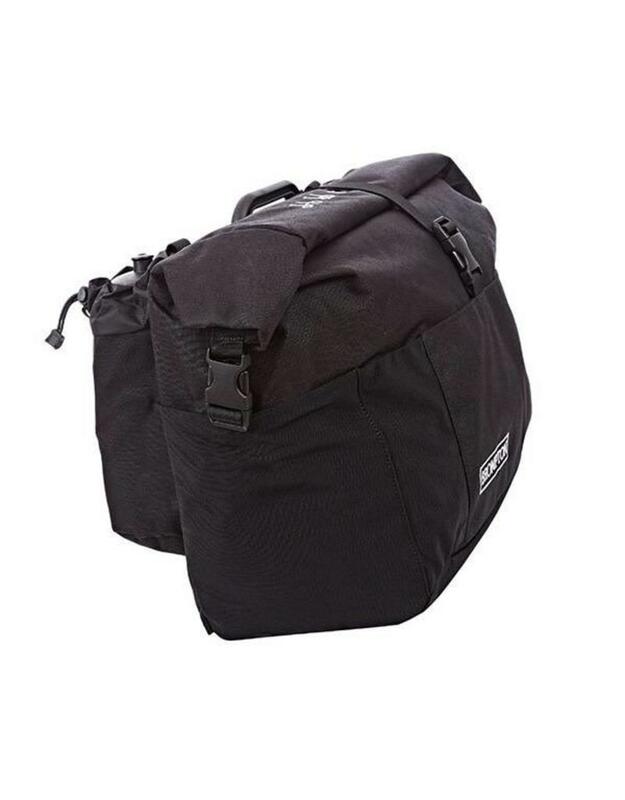 The bag also has elastic mesh pockets along the front which make it easy to slip something inside while riding since you needn't unzip a pocket at all. 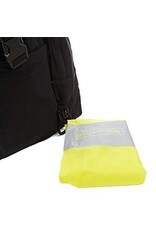 Inside the bag is a single, large compartment with one small, zippered pocket. 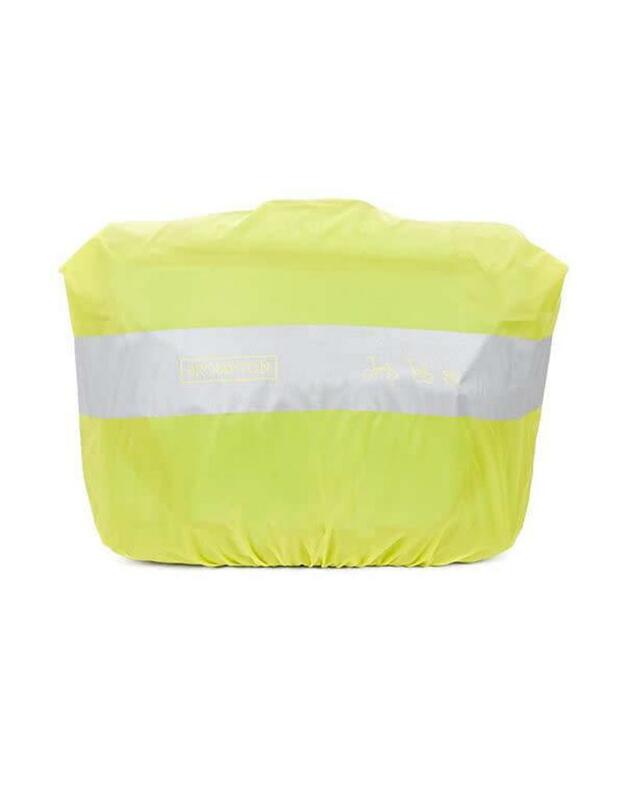 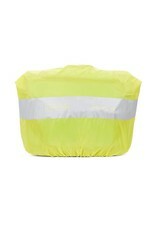 The top closes with a roll-top system and nylon buckles, which makes it nicely water resistant (it also comes with a rain resistant cover in high-vis yellow which is stowed in a secret zippered pocket). 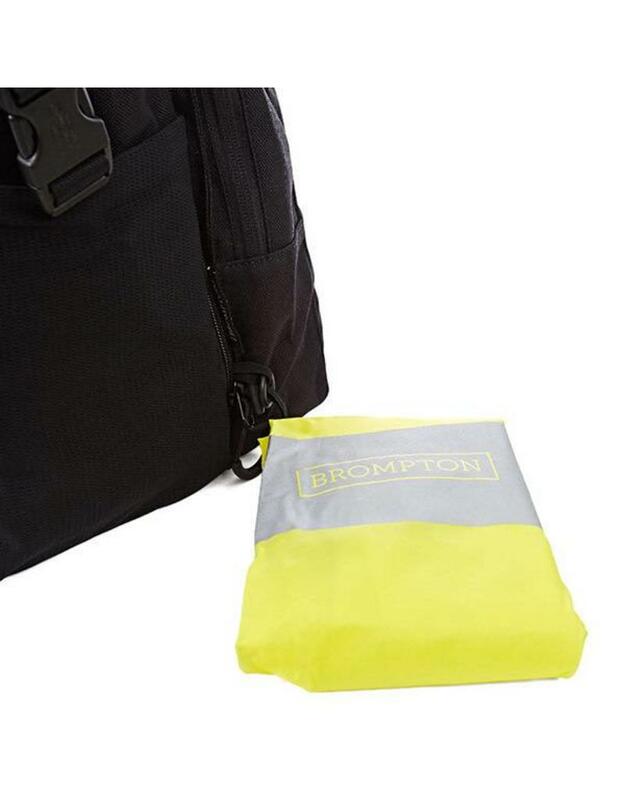 The back of this bag (i.e. 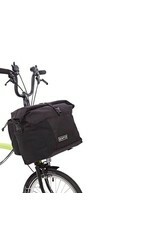 facing toward the rider/rear of the bike) has a rigid frame which attaches to the Front Carrier Block on Brompton bikes. 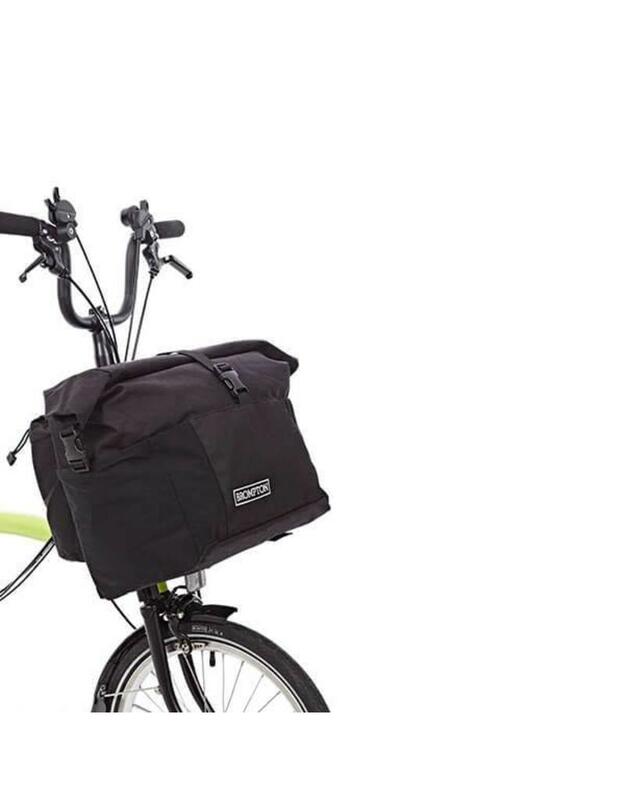 The same frame allows the bag to stand freely without falling over when off the bike and has a stiff handle for carrying. 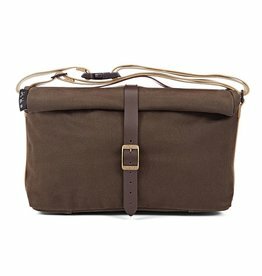 If you'd rather shoulder this bag, it also comes with a shoulder strap for easier carrying. This bag cannot be used on a Brompton with an S-type handlebar. 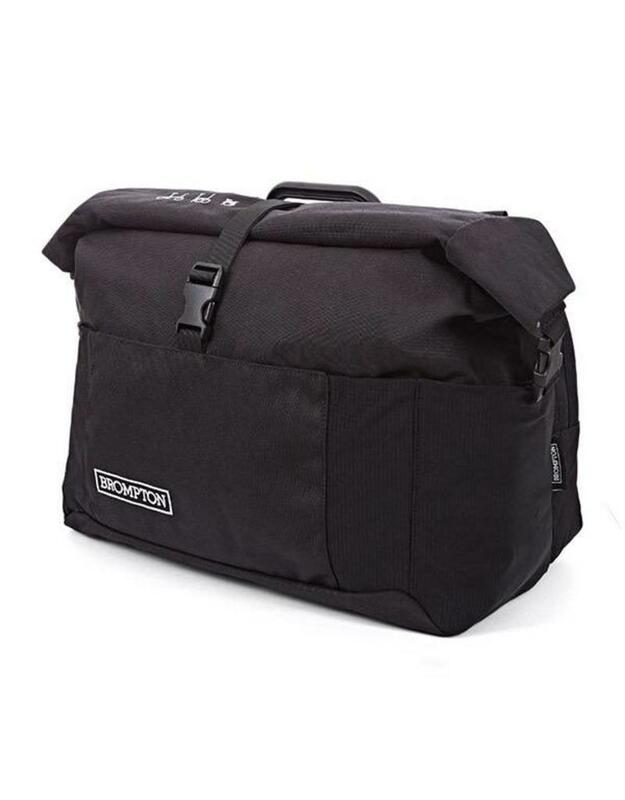 This bag is entirely suitable in capacity to carry all the necessary clothes, toiletries, and food for a 52 hour, cross-country train trip, followed by a bike ride from Emeryville, CA to Santa Cruz, CA via San Jose. 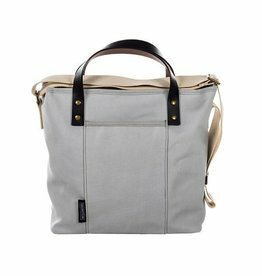 All that to say: it's a pretty ample bag!